Salmon leather—the next frontier in luxury, and sustainability! Coming soon, to a back pocket near you. Photograph courtesy of Tidal Vision USA. In Alaska alone, some 2 billion pounds of fish waste are dumped overboard or in a landfill each year. To those of us who care about sustainable fish catches, that’s a problem—and an opportunity, at least for entrepreneur Craig Kasberg. His Juneau-based company, Tidal Vision, has developed a nontoxic way to tan Alaska sockeye salmon skins. 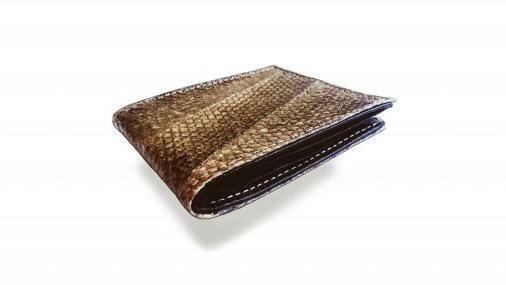 Starting this summer, the company’s been sewing the strikingly patterned leather into slim, stylish wallets (from $75). Next up: antibacterial T-shirt fabric made from king crab shells. Really.